We’ve had a lot of speakers speak at Intermitten, but we’re excited to say that this year, we have a first: sister entrepreneurs! Chanita Simms, who hails from Colombia (South America! 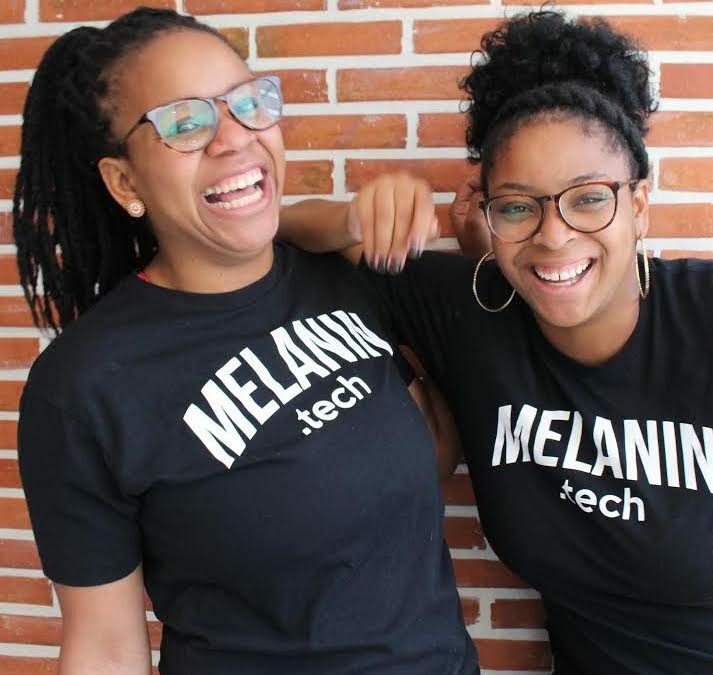 ), and Chantai Ferguson, from Atlanta, founded Melanin.Tech to help folks inspire diversity and inclusion in their tech organizations. Chanita’s and Chantai’s talk, “When Things Gets Real: Advocating for Diversity in Your Organization,” will make it clear that diversity is not the new black, and inclusivity is not just a new trend. It is more than a hashtag; it could be a matter of a business’s growth or downfall. Chanita and Chantai will help us better understand how to recognize a diversity and inclusivity problem. More importantly, they’ll help us understand how to create dialogue within our organizations and promote real change. We asked Chanita and Chanti more about what inspires them in their work. Here’s what they shared with us. We want to teach people what the possibilities really are and create a platform that gives the next person a chance to be better than us. Growing up, we never imagined that having a career in technology would be our future. We honestly didn’t even know it was a choice. It is important to us that the upcoming generations do not have to experience that same ignorance. We aim to not only teach the underrepresented how to land a job in tech but also teach corporations why diversity is so vital to them, the industry, and the world. Research and read! It’s great to be passionate about this and definitely necessary, but make sure you’re also knowledgeable. There’s a ton of misinformation out there, and to help others, you need to be as informative as possible and realize you will forever be learning. We’ve learned that it’s okay to be ourselves — even in an environment where we may be the only people who look like us. Trying to blend in seems like the easiest win, but it could also be a gateway to losing who you really are. And if you’ve lost yourself, the world may miss out on the magic you have to offer. Stay true to yourself, and allow people to witness and respect your greatness. We heard about the opportunity to be speakers through a friend and colleague at Help Scout. From there we did some research on the conference and realized we wanted in! We have a lot to say, and Intermitten is the perfect platform to do that. Click here to learn more more about Chanita and Chantai, read about all of this year’s speakers, and then get your Intermitten 2018 ticket!